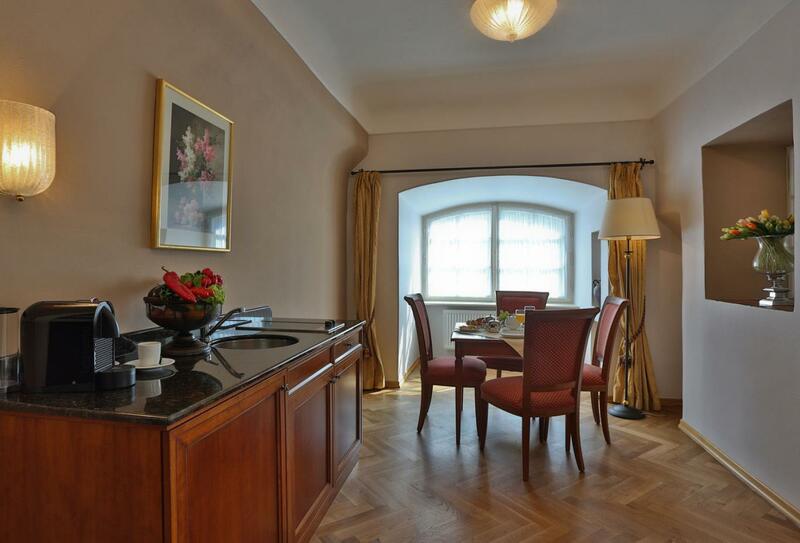 Appia Hotel Residences occupies Prague’s Mala Strana district, which traditionally housed noble palaces, probably for the area’s charm and beauty. 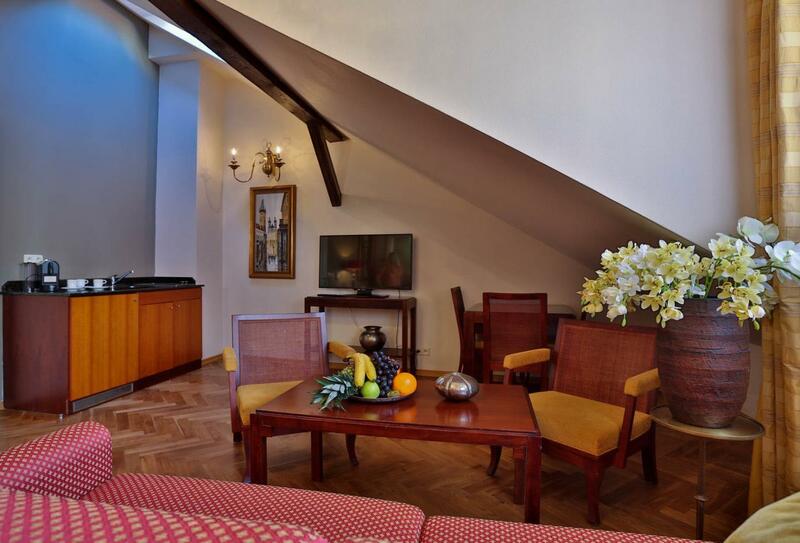 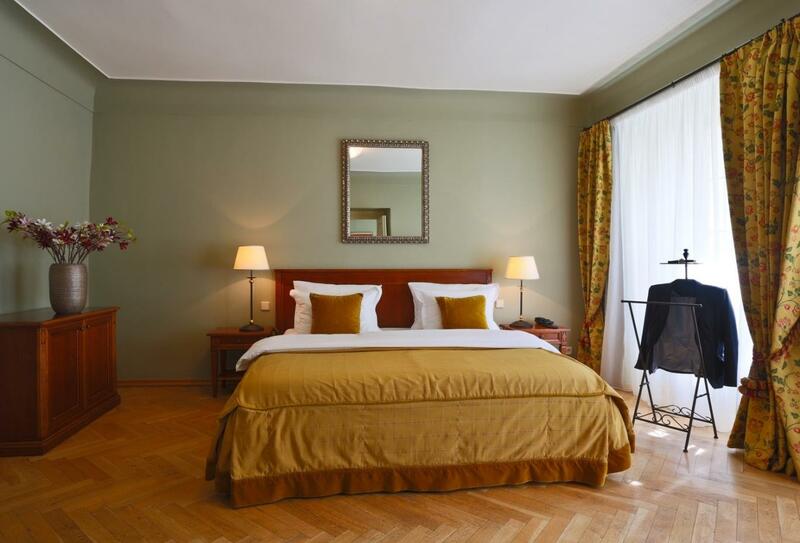 The hotel enjoys a privileged position beneath Prague castle and is just minutes away from the historic Charles Bridge. 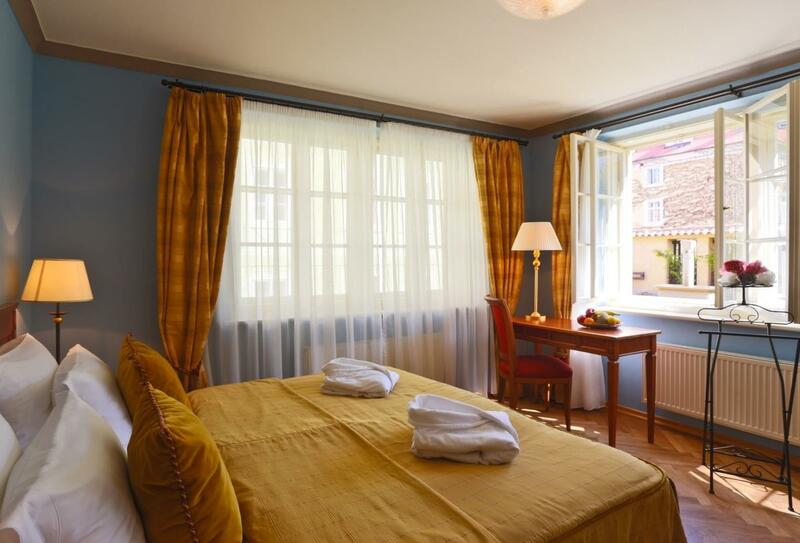 Completely renovated in 2006, the hotel boasts incredibly contemporary chic interiors of its 800 year old building. 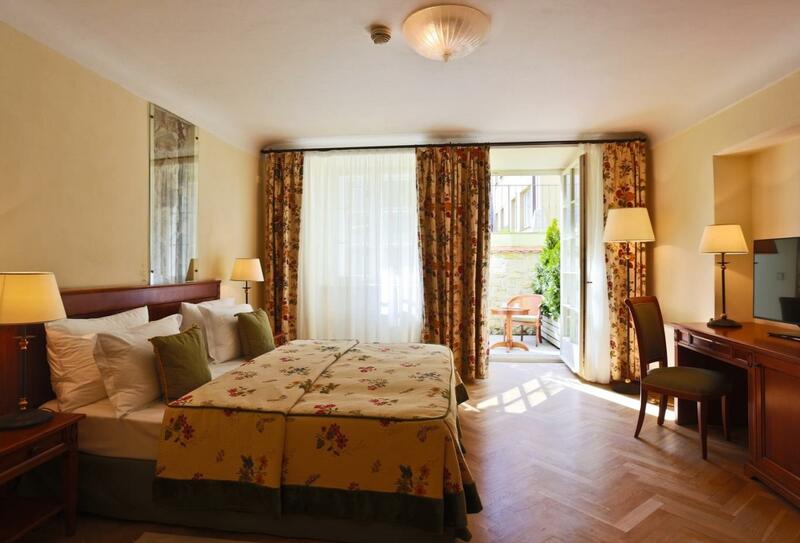 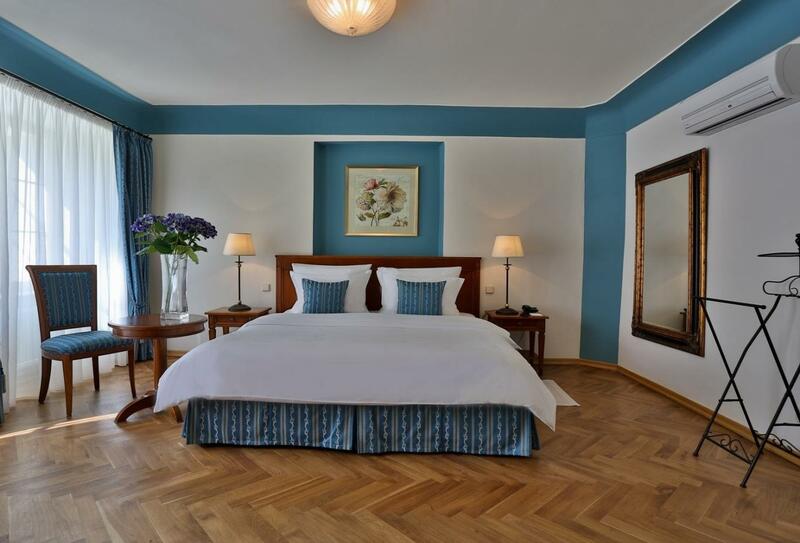 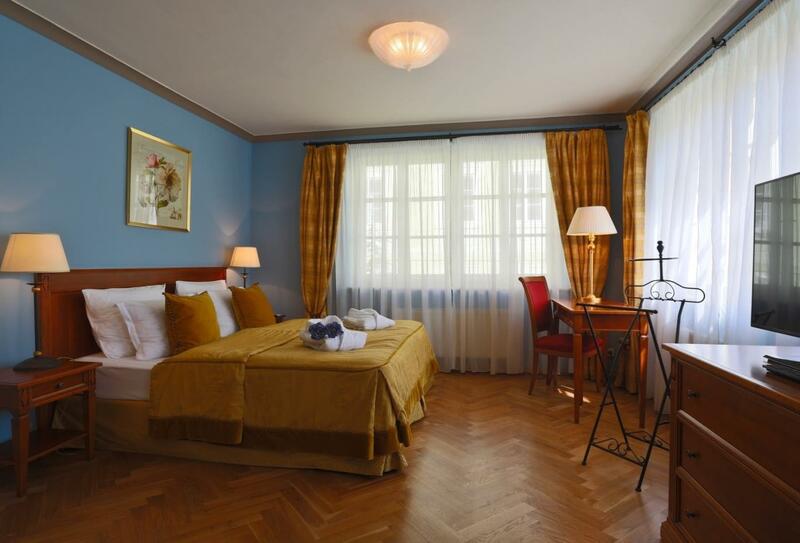 Once a building that welcomed European nobility with banquets over the years, this hotel began welcoming tourists with distinguished tastes to the city of Prague in 1992, and has been receiving fantastic reviews for almost a quarter of a century. 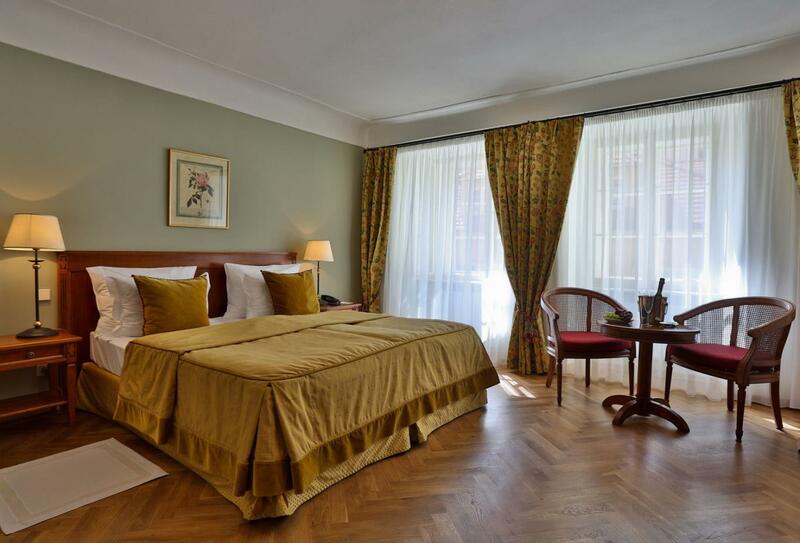 An excellent base from which to explore the city, whether it’s to shop until you drop, or to travel back in time and explore one of historical Bohemia’s greatest cities, or both, Appia Hotel Residences offers the perfect assistance. 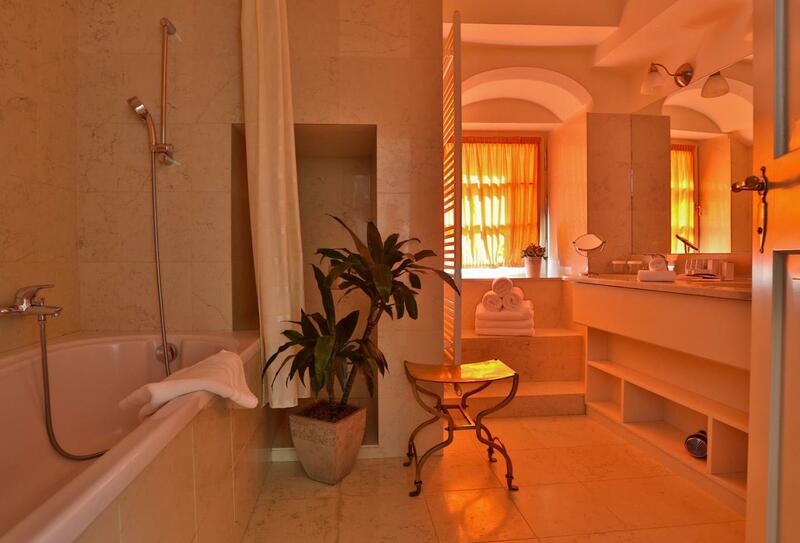 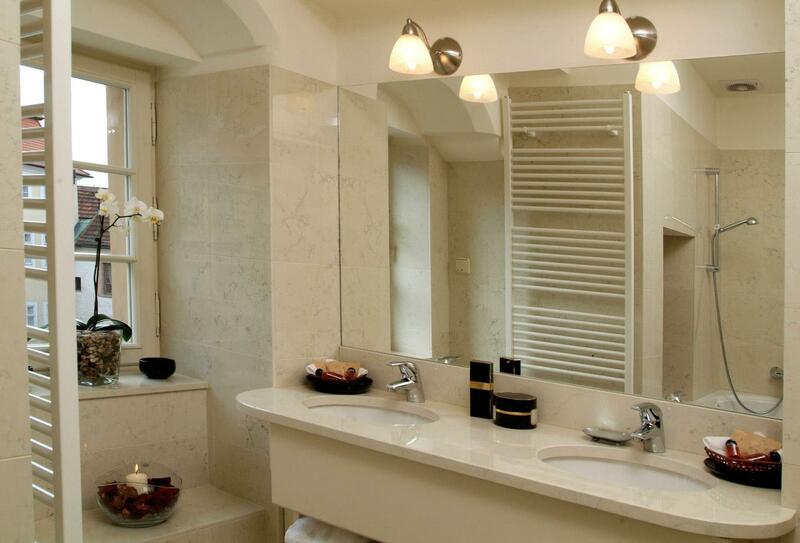 These light and airy rooms feature elegant décor on parquet flooring and have a marble bathroom with a shower or bath. 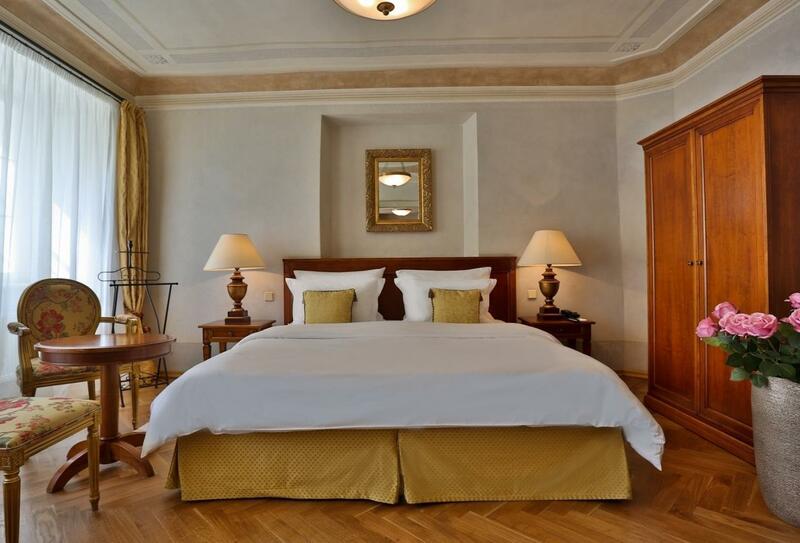 These stylish rooms offer a generous living space for up to four people and come with a king size bed and sofa bed. 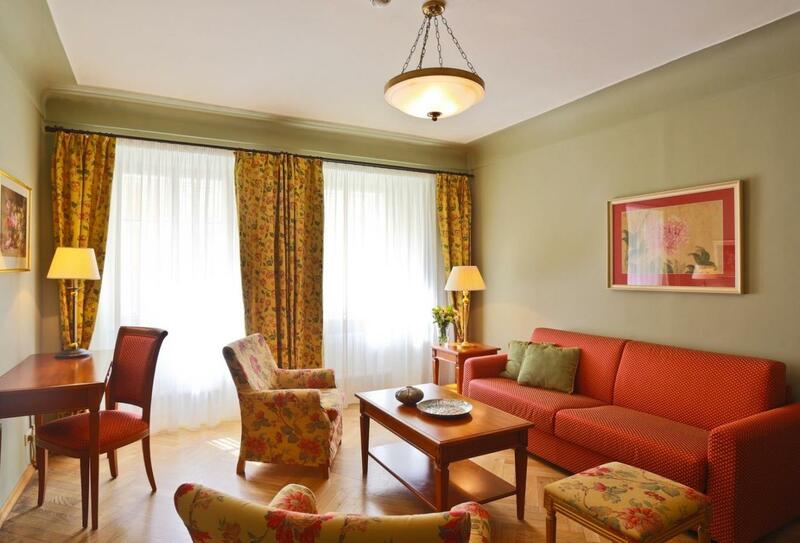 These stylish rooms offer a generous living space for up to four people and come with a king size bed and sofa bed as well as a kitchenette and dining area, perfect for hosting. 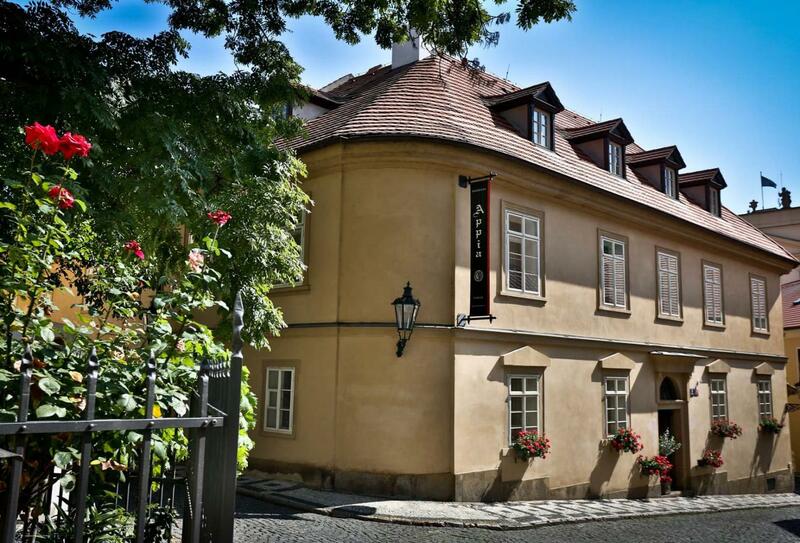 The restaurant here serves breakfast only, offering a mix of hot and cold continental foods in the 800 year old dining hall. 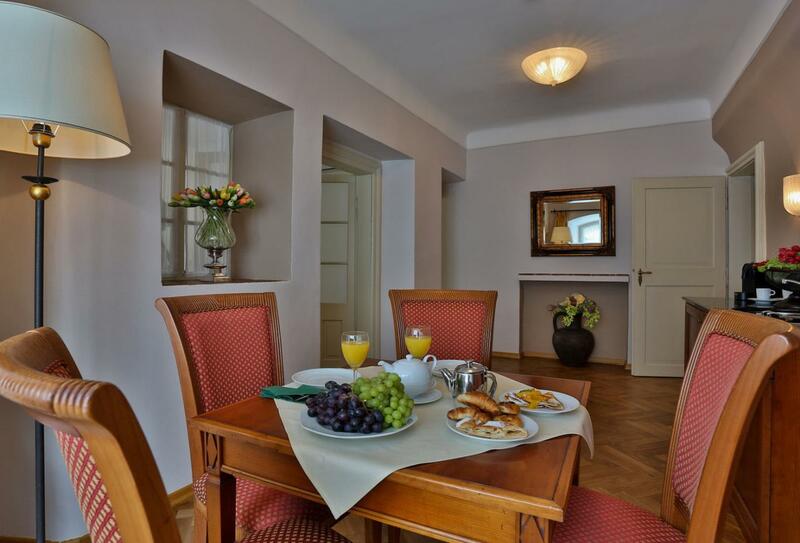 Breakfast is served 07:00 to 10:00. 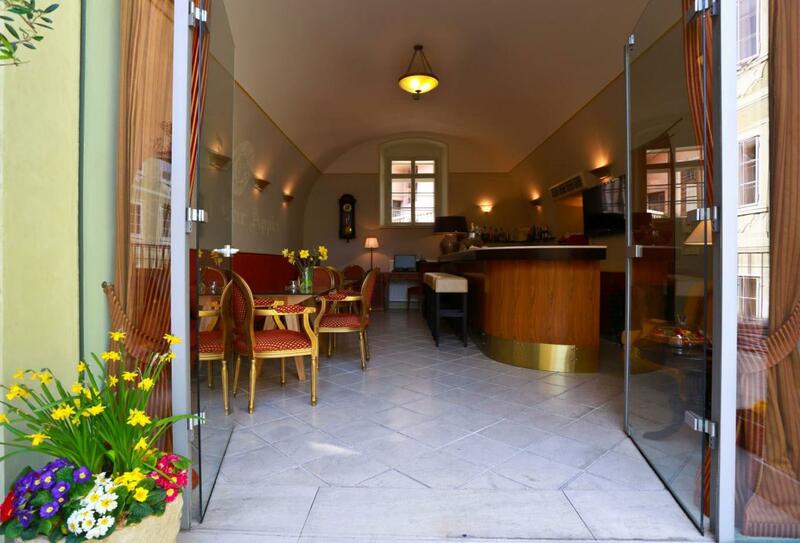 The hotel’s lobby bar is open daily from 10:00 until 22:00.